We had a cooking matters class earlier this year with a Muslim women’s group at the North Seattle Family Center. They liked the class so much that they signed up their teen-aged girls! Kelly, one of our new AmeriCorps members, is organizing the teens class at the family center right now. The girls are loving our hands-on lessons, the fun recipes, and tasting a plethora of different healthy food they can incorporate into their daily meals. Cooking Matters is a six-week course that focuses on shopping and cooking healthy on a budget. We practice with participants on how to read food labels and nutrition facts, compare unit prices, and how to extend the life of food and stretch our food budgets. In every class we cook a meal together, then participants are given a bag of groceries to take what they’ve learned in class and cook for their families at home! 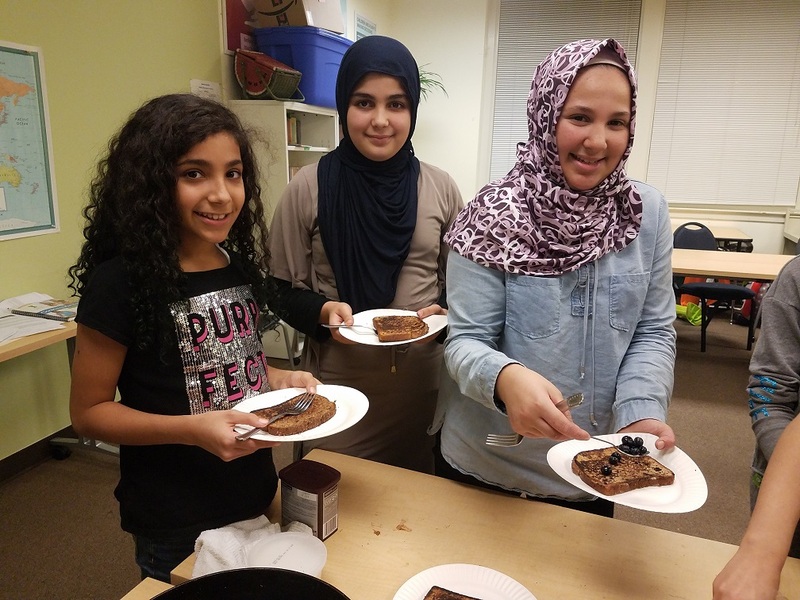 Each class encourages participants to practice new skills and explore different food choices, equipping them with lifelong lessons they can use on a daily basis when shopping for food or cooking. In addition to the teens class at the Family Center, we are also doing another class at Literacy Source for adults. With participants having varying levels of cooking knowledge and skills, it’s always a new adventure in each and every class. ← We are looking for a champion!